Do you bite your tongue instead of speaking what you really feel and think? Do you swallow your needs and wants because you want to please others or are afraid of what they’ll think? 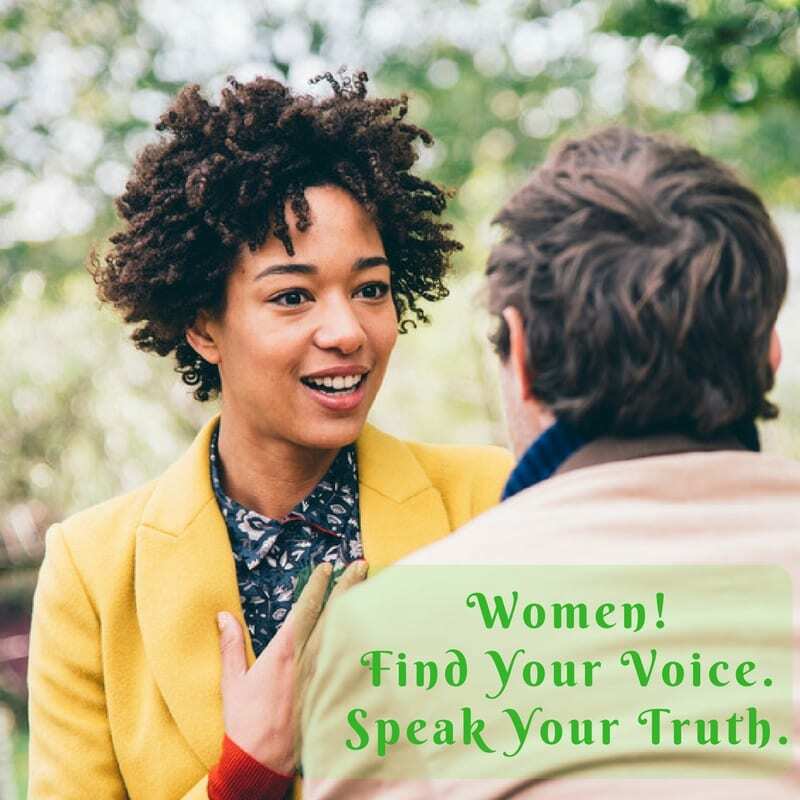 Do you long to find your voice, speak your truth out loud, and be heard in your life, work, and relationships? Do you block your message, dream, or purpose that’s bubbling up and wants to rocket into the world as a force for change? Then check out my 6-week coaching group “Women! Find Your Voice. Speak Your Truth”. For four weeks, six women will come together to find their authentic voice and speak their honest truth. It’s hard to find your voice on your own. It takes courage. You need someone more powerful than your inner critic or bully to cut through the story that tells you to be quiet, small, and unheard. You need a safe space where you can risk speaking what you know but haven’t dared. And you need the support of women friends taking the same risks as you to take your leap of faith into your feminine truth, power, vulnerability, and gifts. Dare to face and overcome your fears and self-doubts. Live out Loud, True, & Free! WHEN: Wednesdays November 9, 16, December 7, 14, 2016, 6-8pm.